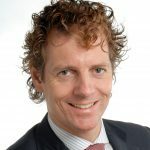 Raphaël Lepot works for the Province Limburg as Public Affairs strategist since september 2016. He is – together with Davy Pieters – responsible for maintaining networks and contacts between the province and all EU-institutions. As the Brussels front office of the Board of the Province Limburg, Raphaël is the contactperson for both employees of the Province Limburg as well as for third parties. Raphaël was born in Maastricht with both the Dutch and Belgian nationality. He obtained a Masters degree in Politics and Public Administration at the Univeristy of Konstanz and a Master European Governance at the University of Utrecht.